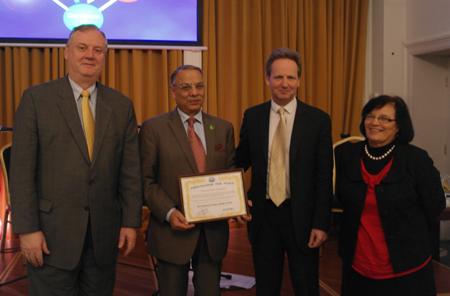 A discussion on 'Faith Perspectives on the Family' from four different religious representatives took place on November 6th in UPF-UK Headquarters. This was one of a series of conferences on issues concerning the family to be held in the coming months. The family is seen as a source of stability, love, nurture and education in many faiths. The Unification Movement is also well known for its desire to promote family as a source of societal, national and international change. There are numerous issues of controversy relating to the family from faith perspectives. 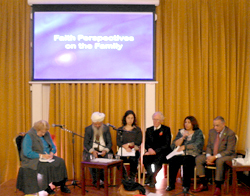 Interfaith perspectives of the family identify the commonality and differences in views of the family in relation to the search for God. The religious and cultural influence on family life has great implications for the development of society, culture, or economy. The differences between the protestant and catholic realms of the world, or the Jewish, Hindu, Sikh, Buddhist or Muslim religio-cultural spheres all have shaped the character of nations and the role of the family within it. 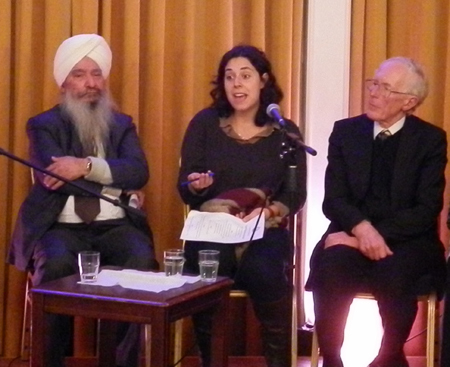 Each faith representative was interviewed by Mrs. Mary Braybrooke JP who not only is a keen moderator but has a lot of experience of the family's position in different faiths.